Scottish-Swedish relations in 18th century continued the development between Sweden and Scotland in trade and business of the previous centuries, but the background to Scottish immigration now remained the stormy political situation in the home country. 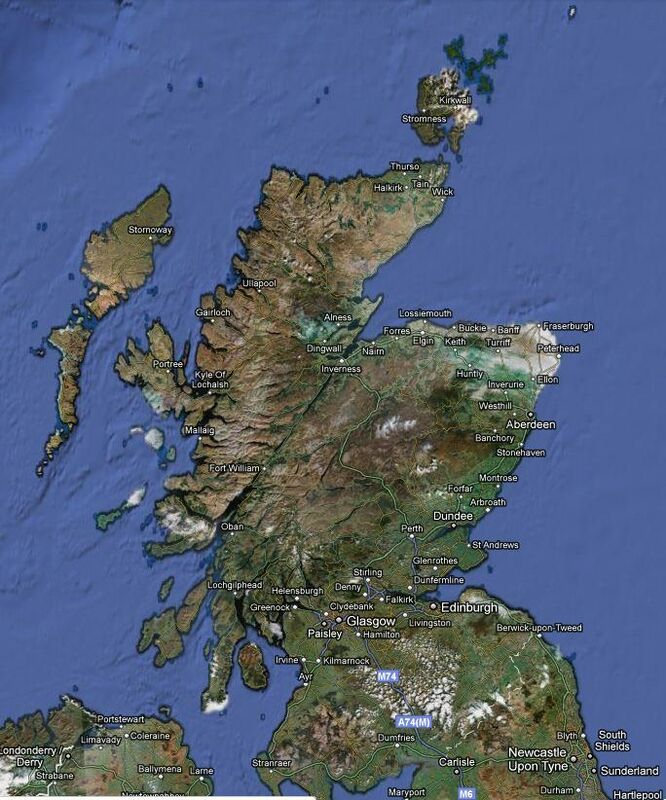 The first wave of immigrants followed the Stuart rising 1715-16 and the second followed Culloden in 1745. The links of the Jacobites with Charles XII in the years 1715-17 is an extremely interesting chapter in the history of Scottish-Swedish relationships. After the final failure of his Russian campaign at Poltava in 1709, and five adventurous years in Turkey, Charles XII appeared in Stralsund in 1715 in an effort to save the remains of the Swedish empire in Germany. His opponents now included George I, who desired to bring BremenVerden, then a Swedish possession, under Hanover. Contact was established between the Duke of Mar and the Swedish government, through the good offices mainly of Count Carl Gyllenborg, the Swedish Minister in London, and the adventurous diplomat Georg Heinrich von Görtz, who had entered the service of Charles XII. The Jacobites subsidised Swedish armament in return for a promise that Sweden would support the restoration of the Stuarts. A landing by Charles XII in Scotland or England was planned, but it is not known just how far negotiations advanced. All such plans were in any case crushed early in 1717, when the English government had Gyllenborg arrested, in spite of his diplomatic status. The plans were in fact revived once more, but were completely abandoned in November 1718, when Charles himself fell at the siege of Fredrikshald in Norway. Sverige och Göteborg har i mycket präglats av sina många skotska invandrare som gjort stora insatser. Göteborg låg nära Skottland och det var lättare att segla mellan Göteborg och till exempel Aberdeen, än att ta sig till London. Skottland blev 1707 en del av Storbritannien varför det är svårt att särskilja skottar från övriga britter i statistiken. Skottarna kom i flera stora vågor, den första från slutet av 1500-talet och där ett stort antal skotska officerare tog tjänst i de svenska stormaktsarméerna. Nästa våg kom i samband med Stuart upproret 1715-16 och nästa igen, efter slaget vid Culloden 1745. Länkarna mellan Jacobiterna och Karl XII under åren 1715-17 är ett mycket intressant kapitel inom våra Skott-svenska förbindelser där Jacobiterna lovade bidra med vapen och utrustning mot att Sverige skulle stödja upprättandet av ätten Stuart. Den fjärde vågen av skottar kom under 1800-talet. Napoleonkrigen pågick och därmed den så kallade kontinentalblockaden vilket skapade stora handelshinder på kontinenten. Under den här perioden fick Göteborg en särställning som frihamn och därmed stora handelsmöjligheter. Eftersom industrialiseringen hade börjat så mycket tidigare på de brittiska öarna kom en rad impulser därifrån att införas till Sverige genom skotska invandrare. Den skotska betydelsen för utvecklingen av de första svenska mekaniska industrierna var avsevärd. De framgångsrika, satte sin prägel på staden. Göteborgarna gjorde sällan skillnad på skottar och engelsmän så under denna tid myntades även begreppet ”Lilla London” om Göteborg. Här skrevs den allra första läroboken i engelska, man lät bygga en egen kyrka, och det finns berättelser om hur brittiska vanor blivit självklara mitt i det göteborgska; man drack te och toddy, porter och portvin, man red och klädde sig som brittiska herremän. With none of the small nations of Europe, outside Scandinavia, has Sweden maintained such intimate connections through the years as with Scotland. France can compete with Sweden as to the number of enterprising Scots who have immigrated into the country. The ability to adapt shown by these men, and their skill and character, enabled them to function as leaders, in some cases pioneers, in different sectors of Swedish life. They served as officers in the armies with which Sweden defended its newly won status as a great power in the different theaters of war on the Continent, and they worked as merchants and captains of industry, above all in Gothenburg on the Swedish west coast. They introduced new and more efficient methods of agriculture, and in the 19th century they played a leading role in achieving freedom of religion. Scotland has been the giver and Sweden the receiver, and we have every reason to be deeply grateful to a country that has supplied us with so much skill, enterprise and devoted energy. If this exhibition can quicken the interest of our history it will not have been in vain. We can recall here that many Scottish families met with great success in their different fields, and amassed considerable fortunes. This in its turn led to numerous donations, the generosity of which bears witness to the ease with which they had settled in their new home. The body responsible for this exhibition, the 90-year old Nordiska Museet in Stockholm, was, for instance, largely financed originally by a man of Scottish extraction and with a Scottish name, Oscar Dickson. This exhibition has been made possible largely by the lively interest shown by Swedish families of Scottish descent. Grundade tillsammans med Nicklas Salgren och Henric König det Svenska Ostindiska kompaniet. Föddes 1 november 1686 i Edinburgh, död 9 maj 1757 i Göteborg, var en svensk-skotsk affärsman. Son till en advokat. Han hade satsat pengar i det ostindiska kompani som bildats i Ostende 1720 av Karl VI av Österrike. När det upplöstes 1731 sökte han förverkliga sina planer på annat håll. Tillsammans med Niclas Sahlgren utarbetade han sålunda en plan för ett Svenskt Ostindiskt Handelskompani. Campbell företrädde vid kompaniets bildande de utländska aktietecknarna. Utlänningarnas officielle representant blev emellertid Henrik König i Stockholm. Campbell naturaliserades som svensk adelsman. Var bosatt i Stockholm och inträdde i Königs firma, som kom att ha namnet König, Tham, Campbell & Co. Campell var en av kompaniets direktörer och drivande i utrustandet av Fridericus Rex Sveciæ. Han följde själv med på den första resan 1731-32 som superkargör och kungens ministre plénipotentaire hos kejsaren av Kina. Expeditionens ekonomiska resultat var ytterst bra och Campbell utnämndes till kommerseråd. År 1732 hade han lämnat Stockholm och bosatt sig i Göteborg och ägde egendomen Sävenäs. Colin Campbell (1686-1757) were together with Nicklas Salgren and Henric König the original founders of the Swedish East India Company (1731-1813). In the 1690’s there lived in Edinburgh a notary named John Campbell. He is first mentioned in the sources as being accepted into the guild on 14th December 1691, after a period of apprenticeship under John Dallas. On 9th September he became a burgher of the city, and in the years 1697-99 he was the city’s representative. He died an old man and was buried on 14th April 1699. This notary was married to Elisabeth Campbell of Moy, born 20th May 1658. Her father was probably Captain John Campbell of Moy (some time Captain in Colonel Monro’s regiment) whose will was registered in Edinburgh 13th February 1694. The couple had three sons, Archibald (died 1727), who followed the same profession as his father, Hugh, who was a businessman and paid a short visit to Sweden, and Colin (died 1757) who became a burgher of the city of Gothenburg. On 3rd August 1720 Archibald and Colin became burghers in Edinburgh, as a recognition of their father’s services. Colin was then referred to as "of London, Esq.,". Colin Campbell lived in London 1720-23, and was involved in the transactions that led to the South Sea Bubble. He appears to have fled when the bubble burst and is next to be found in Ostend. 1723-30 he worked, largely as super-cargo, in the Austrian East India Company, which was based in that city. This company was a clear attempt to compete with the British East India Company, and many Scots were engaged in the enterprise. It did not, however, prove the success that the Emperor had expected, and Campbell left it a couple of years before its liquidation. The next similar attempt was to be made from Sweden. In 1730 we meet Colin Campbell for the first time in Sweden, to which he had been called by the powerful Gothenburg merchant Nikias Sahlgren to assist in the formation of the Swedish East India Company. It is difficult to determine whether it was Sahlgren or Campbell who took the initiative originally but the latter clearly played a dominant role in the Swedish company from the very beginning. In 1730 Campbell was in Stockholm, but in the following year he settled in Gothenburg, where he lived until his death. He applied for Swedish citizenship on 14th June 1731, and we learn from his application that he was born in June 1686, and regarded himself as a member of the noble family of Argyll through the Campbells of Cawdor. From 1731 until his death he was a director of the new company. As a company of this kind must formally be managed by a Swede it is often only possible to guess at Campbell’s role as one of its leading spirits. In 1731 the Swedish government granted the new company its privileges, and in the following spring the Swedish East India Company’s first ship, the FRIEDERICUS REX SUECIAE sailed for China. Colin Campbell himself accompanied the ship on her voyage, armed with a letter of credit that made him the first ever Swedish envoy to the Emperor of China. Financially the voyage was a brilliant success, as were the majority of the 22 expeditions made in the first 15 years of the company, in spite of the fact that both the English and the Dutch did their best to hinder the Swedes from encroaching on what they regarded as their exclusive market. After the death of Colin Campbell in 1757 the management of the company became increasingly Swedish. Its two most successful decades were in the 1760’s. After this came the decline that led to liquidation during the Napoleonic Wars. Robert Campbell, the son of the Under-Secretary in the Board of Trade Robert Campbell — of the same family as Colin Campbell — who had immigrated in 1707, was appointed British Minister in Stockholm in 1757, but owing to the current antagonism to England in Stockholm never presented his letter of credence. The French brigade under the command of Colonel Leslie, Baron of Blantyre and of Scottish origin, was formed to support the Stuarts in Scotland. 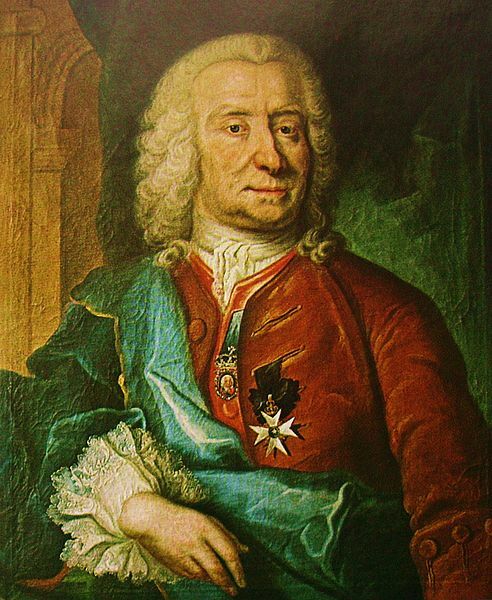 Lanmary, the French ambassador in Stockholm received a letter from Leslie dated July 19th 1746, suggesting that refugees travel over land in small groups via Stralsund and Berlin. Lord Ogilvy and his group arrived in Göteborg in early July. When the French brigade was ordered to leave in August 1746, Peter Samuelsson Bagge, a Göteborg merchant, took over the good work of Leslie. Colin Campbell, the president of the Swedish East India Company helped financially as he was a Stuart sympathiser and cooperated with Leslie and Bagge. After Bonnie Prince Charlie was finally defeated at Culloden in 1746, King Louis XV of France decided to rescue the prince by boat. The boats were to be acquired from Denmark and Sweden. These countries were both neutral in the war between France and England and the ships could sail to Scotland on ‘trading business’ but secretly return with the prince and his supporters. The Gothenburg Expedition involved Lanmary, Leslie and Bagge and the “Pollux” set sail from Göteborg on 19th July 1746. However, the mission was unsuccessful and the “Pollux” returned with ordinary cargo. It is possible that the "Pollux" was in fact the Swedish East Indiaman Fredericus Rex Svecia, the first ship in the fleet of the Swedish East India Company and apparently a very reliable one. It was also this ship that Colin Campbel himself commandeered to China during the company's first and financially very successful journey, in 1731-32. In August 1745 she had just returned from China under the command of captain James (Jacob) Maule and could in July 1746 very well have been fitted out for a new adventure. From July 1746 to September 1747, an efficient and organized campaign supported the Jacobite refugees with money, passports, goods and guides. Göteborg was a suitable place of exile as here they found political sympathy. Född i Arbroath, Skottland, död 1857 i Göteborg, var en brittisk-svensk industriman. Startade 1806 Gibson & Co och bedrev grosshandel och en mängd mekaniserade verksamheter i Göteborg. Anlade och utvecklade tillsammans med den skotske landsmannen Alexander Keiller Jonsereds Industrier. William Gibson (the oldest) left Arbroath and immigrated to Sweden in May 1797, at the age of 14. In the early 1820s he concentrated on rope and sail making. In 1834 he moved his factory to Jonsered. Here there was an opportunity for expansion and yet not too far away from the port and trade center, Goteborg. In addition, the proximity to the Säveån River and hence the availability of hydro-electric power, was an added advantage. A gasworks provided power to the factories as well as heating and electricity for the workers' houses. Together with his friend, Alexander Keiller, Gibson set up a modern factory that dominated the Scandinavian market. A foundry was added and in the 1850s, an engineering shop producing agricultural machinery as well as a cotton spinning mill and a weaving mill. Jonsered is built on similar ideas that characterized the New Lanark in Scotland, an industrial village set up by social pioneer Robert Owen, and was an important step towards creating the ideological foundation of the modern Swedish welfare society. Housing was provided for the workers, health care, a church, a school and a retirement home. The first terraced town houses in Sweden are at Nybygget in Jonsered. These red brick homes were built from 1841 using bricks manufactured at the Jonsered brickworks. Gibson created what was a unique self-sufficient industrial community at the time, in Sweden. This first example of 'industrial welfare' was continued by his son William (the older: 1816-1865) and grandson, William (the younger: 1848-1917) respectively. William (the older) began the production of timber processing machines in the 1880s and William (the younger) continued the successful venture. The Jonsered factory was re-organized in 1872 and became Jonsered Fabriker AB. Alexander Keiller and William Gibson were partners in the business at Jonsered until 1839. Keiller, then set up his own engineering works, was involved in mining and went on to found a shipbuilding company, Keillers Werkstad I Göteborg in 1841. After bankruptcy in 1867, the company became Göteborgs Mekanista Verkstads AB, with his son James as the manager. The company changed ownership in 1906 and in 1916, its name was changed to Götaverken. The last ship was built there in 1989. Keillers Park at Ramberget, Hisingen, was donated to the city of Göteborg in 1906 by James Keiller. Anlade Jonsereds Industrier tillsammans med William Gibson d ä och därefter Götaverken. Keiller föddes i Dundee i Skottland. Kom 1825 till Göteborg med anledning av familjens trävaruaffärer i Sverige. Tre år senare startade han en fabrik för maskinspinning av lin och hampa tillsammans med sin landsman William Gibson. 1839 lades denna fabrik ner, istället anlade Keiller 1841 för egen räkning en mekanisk verkstad i Göteborg. År 1867 överlät Keiller i sin tur verkstaden till ett aktiebolag, Göteborgs Mekaniska Verkstads AB, och ett år senare drog han sig helt från affärerna. Han dog i Göteborg den 27 mars 1874. Gifte sig 1830 med Marie Louise Wijk (1804-1886). Far till James Keiller som 1906 donerade området kring Ramberget till Göteborgs stad vilka här lät uppföra Keillers park. Swedish merchant and Freemason. Born in Gothenburg in 1748 as the son of the Scottish merchant, William Chalmers, Sr., and his Swedish wife, Inga Orre. William Chalmers Jr. was the oldest amongst his brothers James, George Andreas and Charles Chalmers. Became a director of the Swedish East India Company and in 1783 he was appointed as their resident representative in Canton. He would stay there and in Macau for ten years before returning home. Died in Gothenburg in 1811, influenced by his freemason brother Pehr Dubb leaving half his fortune to the Sahlgrenska hospital, Gothenburg. After some other donations, the remainder was donated to create a crafting school for poor children, which in 1829 became a college, that today is named the Chalmers University of Technology. James Dickson, född 3 februari 1784 i Montrose, Skottland, död 17 november 1855 i Göteborg, var handels- och industriman samt kommerseråd. Han var son till handlaren James Dickson och Christina Murray, bror till Robert Dickson (1782-1858) och far till James Dickson d.y. och Oscar Dickson. James Dickson fick först anställning på ett kontor i Edinburgh 1898, men emigrerade till Sverige 1809, sju år efter sin äldre bror Robert, och bosatte sig i Göteborg där han fick burskap den 1 mars 1810. Han var en driven affärsman, som år 1816 grundade firman James Dickson & Co.
Sir William Chambers was a Scottish architect, born in Gothenburg, Sweden, where his father was a merchant. Between 1740 and 1749 he was employed by the Swedish East India Company making several voyages to China where he studied Chinese architecture and decoration and received the influence that was later to dominate his work at Kew Gardens and elsewhere. 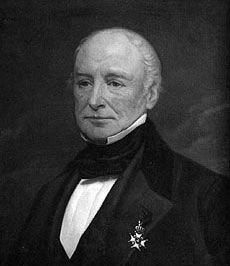 Sir William Chambers was born in Sweden, and educated in England. During his time in the service of the Swedish East India Company he visited Bengal, 1740-42, and Canton, 1743-45, 1748-49, where he studied and sketched Chinese architecture. He came to serve with the company because his father lived in Gothenburg, as a merchant. The list of subscribers to Chambers’ A Treatise on Civil Architecture (London, 1759) contains a striking number of Gothenburgers, of both Scottish and Swedish origin. The Tottie family came to Stockholm in 1688 with a tobacco dresser named Thomas Tottie, born in 1664 in Jedburgh, where his father was a customs officer. In the 1690’s Thomas Tottie set up his own tobacco dresser’s, which seems to have thrived. When he died in 1724 he was a very rich man. His wife and three sons continued for some years to run the factory, but in 1728 one of them, Samuel Tottie (1702-50) started a new factory in Gävle. The two other sons — Charles Tottie (1703-76) and William Tottie (1705-66) operated from the 1740’s a large-scale wholesale business. 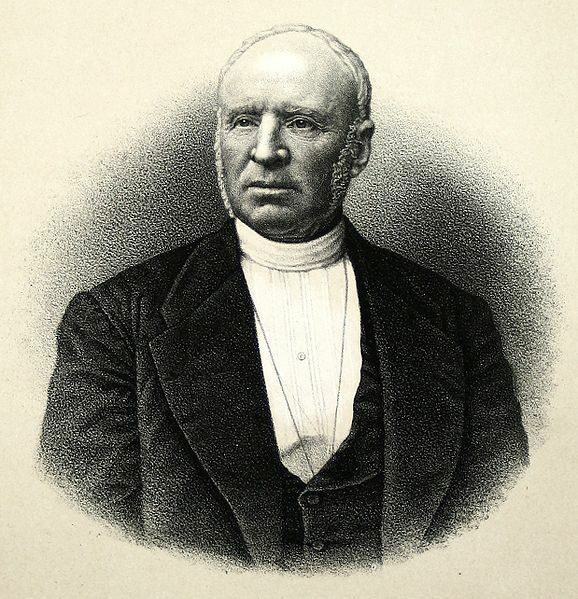 William Tottie was regarded as one of the richest men in Stockholm. Charles Tottie distinguished himself in a variety of fields, and was among other things one of the founders of the Stockholms City Fire Insurance Office. Many notable names such as a merchant named Hans Carnegie who had been active in Gothenburg as early as 1620 but he apparently died without issue. After the Battle of Culloden in 1745, one George Carnegie, who in the battle had fought against his elder brother, fled to the hills of Flenesk and Glenmark with James Carnegie, Laird of Balnamoon and an Ochterlony of Guynd. The three rebels shortly escaped in an open boat from Montrose, were picked up by a Swedish ship, and landed safely in Gothenburg. George had apparently studied commerce in Scotland, but broke off his education to fight for Bonnie Prince Charles, of whose lifeguard he was a member. He was outlawed after Culloden, and in Gothenburg worked first as a shop assistent, but later became a wholesale dealer. In 1764 he had working in his office Thomas Erskine (later Earl of Kellie), John Hall (of British origin, although probably not a Scot, and later a man of great wealth) and James Carnegie Arbuthnott the younger. The firm exported bar-iron and boards to England, and imported from England wheat, butter and pitcoal, and from Russia rye and flax. In all probability George Carnegie was also a shipowner. 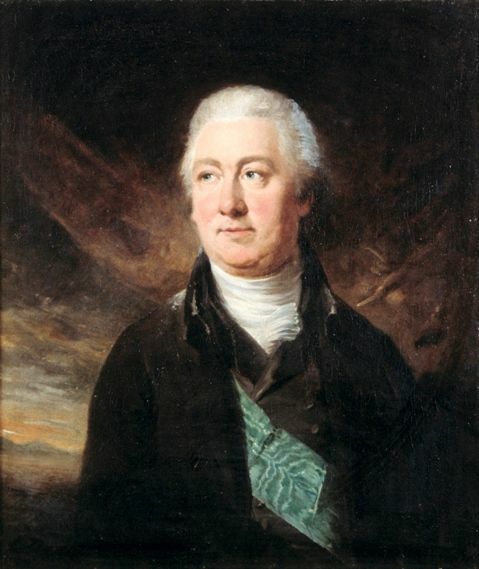 George employed in Gothenburg Thomas Erskine (later Earl of Kellie), John Hall and James Carnegie Arbuthnott the younger. In 1769 he returned to Scotland, where he had some years before bought back his family seat of Pittarrow, and another estate, Charleton, both in Southesk and near Montrose. In 1769 he returned to Scotland, where he had some years before bought back his family seat of Pittarrow, and another estate, Charleton, both in Southesk and near Montrose. He married in the same year a Scottish woman by whom he had three sons, John, James and David. David, and James’ son of the same name, maintained contact with Sweden. James Carnegie, "the rebel laird"
James Carnegie, "the rebel laird", was third cousin to George. It is uncertain how long he remained in Sweden. He was proscribed until 1758. James Carnegie Arbuthnott, born in 1740, obtained his citizenship in 1766 as an inn-keeper, and was known in Gothenburg as "Old Man Carnegie of Klippan". James Carnegie Arbuthnott, son of the "the rebel laird", was born in 1740, and we first learn of him in Gothenburg in 1764, when he worked in George Carnegie’s office. In 1766 he obtained his citizenship, as an inn-keeper, and was known in Gothenburg as "Old Man Carnegie of Klippan". He died unmarried in 1810. David Carnegie, the Elder, was born in Montrose, and was in 1786 sent to Gothenburg where from 1787-92 he worked as clerk for Thomas Erskine, the British Consul. From 1793-c. 1800 he was accountant with John Hall & Co. In 1800 Thomas Erskine having inherited the title Earl of Kellie returned to Scotland, and David Carnegie took over his firm. In 1799 he became member of the Royal Bachelor’s Club. He was made a burgher, as a whole-sale merchant, in 1801. When in 1803 he took an accountant named Jan Lamberg into partnership, the name of the firm was changed to D. Carnegie & Co.
D. Carnegie & Co. exported timber and iron. From England colonial goods, wines, porter, meat, flour and salt were imported and from Russia flax and tow. The firm was also interested in herring fishery and owned curing houses. It also had certain mills in Värmland after John Hall & Co. had gone bankrupt. David Carnegie t.y. (1813-1890), was born in Scotland. He came to Gothenburg straight from Eton in 1830, to work in his uncle’s firm. In 1836 he bought at an auction the Lorent sugar mill and brewery. Later in the same year he took over also D. Carnegie & Co. The sugar mill was managed by John Nonnen and the firm of F. Malm, who took it over completely in 1848. David Carnegie had a partner, W. Robertson. In 1850, when both Nonnen and Robertson had died, there was founded a company under Oscar Ekman. Carnegie apparently returned to Scotland in 1841, and four years later married his uncle’s daughter. They lived in Scotland but particularly during the 1880’s D. Carnegie donated large sums of money to Gothenburg. 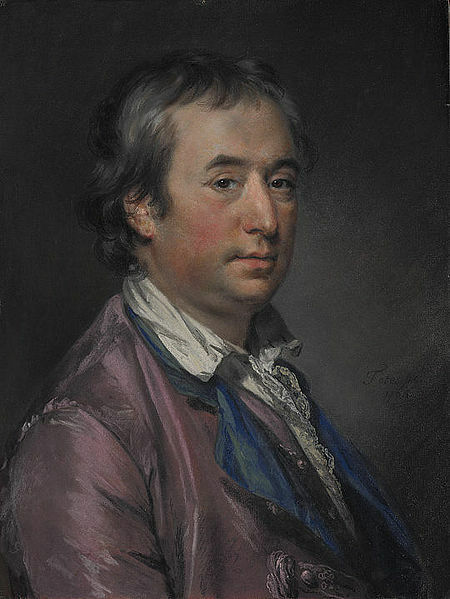 Thomas Erskine was born c.1746, of a family that were strong adherents of the Stuart cause, and who had suffered severely from the confiscation of estates after Culloden. In 1759 Thomas Erskine, then 13 years old, was in Gothenburg, where he worked until 1765 as a clerk in the offices of George Carnegie. 1765-67 he was accountant with John and Benjamin Hall. In 1767 he was made a burgher, and became part owner of John Hall & Co. He married a Swedish girl in 1771, and was for a number of years British Consul in Gothenburg. From 1794 he ran a business under his own name, for a while in partnership with David Mitchell, a Scot from Montrose. In 1793 he became, by inheritance, Sir Thomas Erskine, Bt., and in 1799 Earl of Kellie. No estates accompanied these titles, however. In 1799 he returned to Scotland, where he settled in Cambo House, Fife, which he purchased himself, where he inherited an earldom from a nephew and became the 9th Earl of Kellie. Many members of the British colony in Gothenburg in the 1760’s were interested in billiards, a game forbidden in Sweden on public premises. As many were fairly young men, bachelors who worked as clerks and accountants in the various merchant houses, they had no homes in which they could indulge their passion for the game. On the initiative, mainly of Thomas Erskine, who was at that time still unmarried, there was founded in 1769 the Bachelors’ Club, for "billiards, and pleasant, undisturbed fellowship". Erskine was Member No. 1, and the 19 founder members include such names as Robert Innes, Henry Greig, David Lyall, John Scott and John Fraser, Barclay, Kennedy and Carnegie. Membership was dominated by influential Scots entrepreneurs and the period from 1769 to 1813 was known as The Skotse Perioden (The Scottish Period). This club — since 1787 the Royal Bachelor’s Club — is apparently the fifth in age of the world’s existing clubs and the oldest club in Sweden - is still in existence and Erskine’s tartan continues to be in use today. This was a Swedish-British organization established in 1699. It was important for the immigrants social life and for their religious activities. After the King of Sweden permitted the British in Göteborg freedom of religious expression, it was the "British Factory" that organized and administered the economic grounds for priest and church. The first lodge was founded in Göteborg in 1775 with 190 members. Ten percent of these were Scottish or English. The second lodge, St. Andrew’s lodge, was established in 1777 and Thomas Erskine (founder of The Royal Bachelor's Club) was one of the first members. William Chalmers, James Chalmers and George Carnegie were also Freemasons. Rutger Maclean were one of the most important Swedes of the 18th century. His father was one of Charles XII’s officers, and the first of his ancestors in Sweden was probably Johan Macleer, the Gothenburg merchant who actively helped Montrose during the latter’s visit to Gothenburg in 1650. Johan Macleer had been raised to the Swedish nobility in 1649, and in the following year was created an English baronet by Charles I as a reward for his services in helping Montrose. His Swedish wife had a sister who was married to Jakob Makeleer, a silk mercer in Stockholm. The two brothers-in-law were obviously related and possibly brothers. They seem to have been the first of their family to settle in Sweden. Rutger Maclean inherited the great estate of Svaneholm in the richest part of fertile Scania. Within the space of some ten years Svaneholm was transformed into a famous model farm. The radical reforms introduced by Rutger Maclean provided a pattern for the single allotment system introduced by law in Scania in 1802, and was later followed in legislation for the country as a whole. At the age of 40, in 17-, when he was an indigent captain, living in modest officers quarters in southern Sweden, Rutger Maclean inherited from his mother's family the great estate of Svaneholm in the richest part of fertile Scania (Skåne). Farming in Sweden, not least in Scania, was at that time still primitively organized, and the land split up into countless small allotments. The production of grain by then had begun to prove profitable, and the big landowners began to show an interest in agricultural reforms, and more effective large-scale farming. This was to be Rutger Maclean’s life’s work. He was one of the most well-read landowners in the country, and he had deepened his experience by travels on the Continent. When Maclean took over his estate he found the peasants in his four villages so weighed down by their obligatory "daywork" for the landowner’s manor, that they were unable to look after their own land, which was also split up into numerous allotments, often as many as 60-70. But as a landowner Rutger Maclean was a benevolent despot. He called a surveyor and had the land measured up, and reorganized the many small allotments into one or two large ones. He also split up the villages and made the peasants live in new houses by the new ground they were given. The "day-work" system was abolished, and the putting of old pasture land into cultivation encouraged. Within the space of some ten years Svaneholm was transformed into a famous model farm. 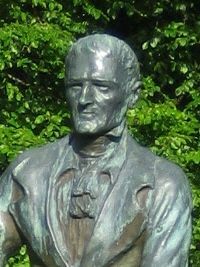 The radical reforms introduced by Rutger Maclean provided a pattern for the single allotment system - storskifte - introduced by law in Scania in 1802, and was later followed in legislation for the country as a whole. 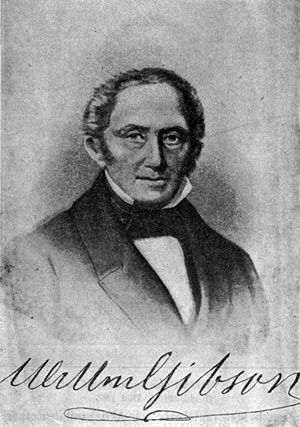 One of Rutger Maclean’s most outstanding successors was Carl Georg Stjernswärd (1767-1825). Stjernswärd was of entirely Swedish birth, but his work is very largely the result of influences from Scotland. With a view to raising the yield of his estate of Engeltofta in Scania he made contact in 1794 with Thomas Erskine, Earl of Kellie, who was then still in Gothenburg. With him as an intermediary Stjernswärd succeeded in employing no less than ten or so young Scottish farmers, who in 1803 set about reforming the system at Engeltofta. Some of them were skilled smiths, and introduced modern Scottish ploughs into Sweden, which were greatly superior to the old Swedish ones. Stjernswärd also built a factory on his estate for the smithing of plough shares, and from here the new implements spread over Sweden. The Scots at Engeltofta also introduced revolutionary new methods for putting land under cultivation, and these were of great importance for the development of Swedish agriculture during the 19th century. Ayrshire textile workers played for Örgryte IS in the first game of association football in Sweden in 1892. They were lace makers from Johnston Shields & Co. in Newmills, Scotland. It was the Scots at Jonsered who introduced the short passing game. On the first golf course in Göteborg, there is a hole called the Drummond hole, named after the man who brought the game to Sweden. Curling was also introduced into Sweden by the Scots. Information on this page collected from Wikipedia, Swedish Exhibition "Scots in Sweden", Nationalmuseum 1962 and the Scottish Diaspora Tapestry Initiative. Royal Bachelors Club, Gothenburg.